This a fun way to do a reading and debate. If you can get a white fluffy cat for them to stroke while being the villains, even better! 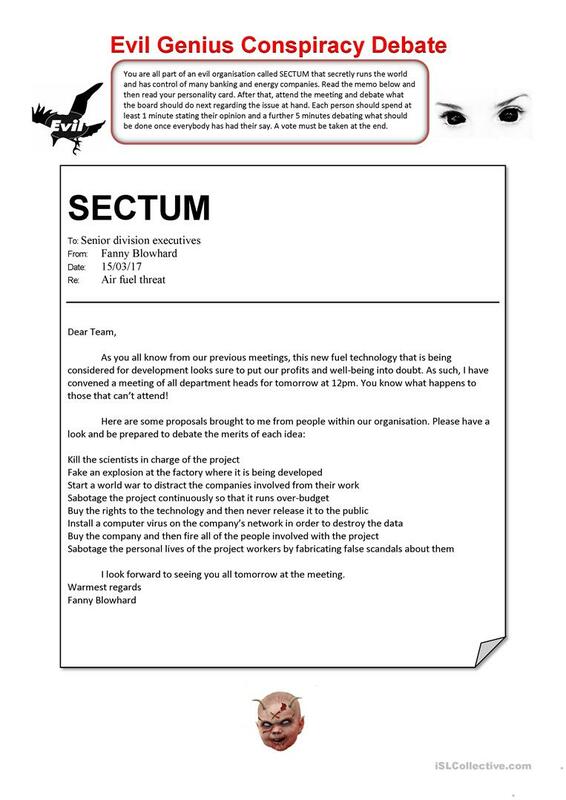 Tell the students they are all members of an evil but secret organisation that runs all the big industries of the world called SECTUM. The main source of income for this organisation is petroleum but it controls the majority of all the world´s energy production and services. 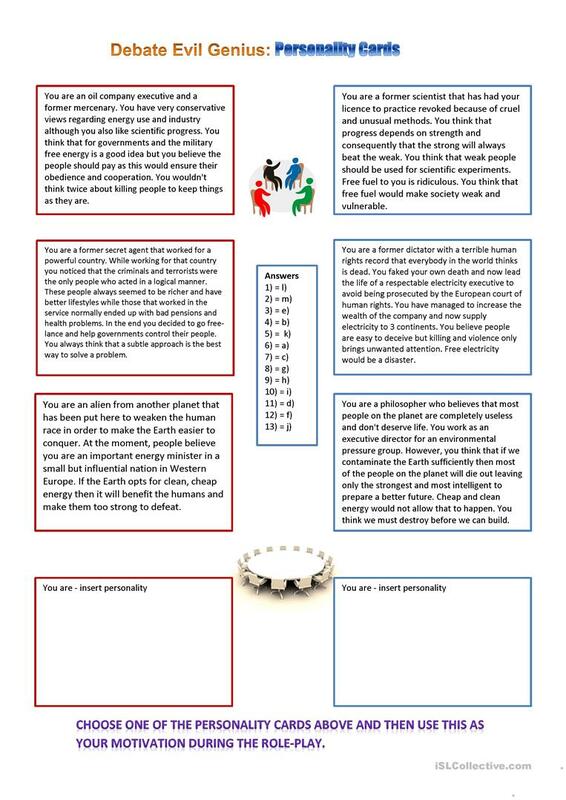 Cut out the students´ personality cards below and tell them to read them to themselves and then assume the character of the personality they have been given. Hand out the story about fuel from air and get them to read it in a group (doing the vocabulary exercise first). 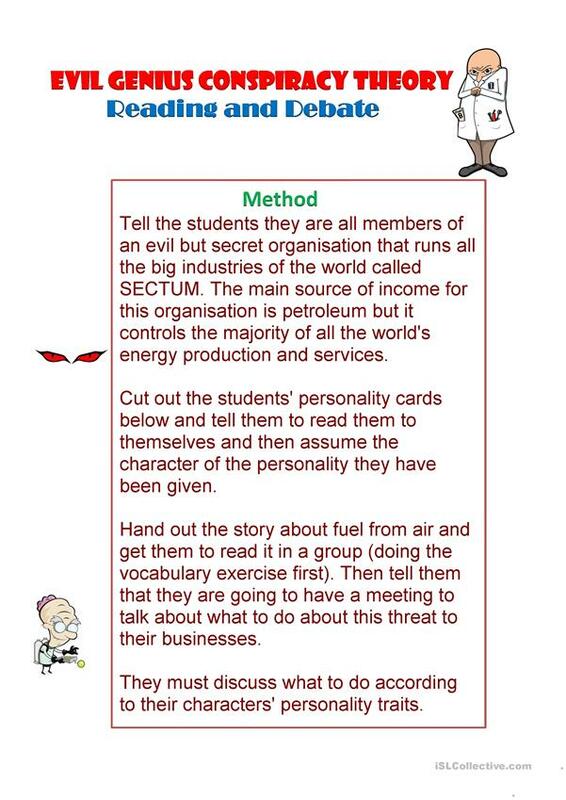 Then tell them that they are going to have a meeting to talk about what to do about this threat to their businesses. They must discuss what to do according to their characters´ personality traits. 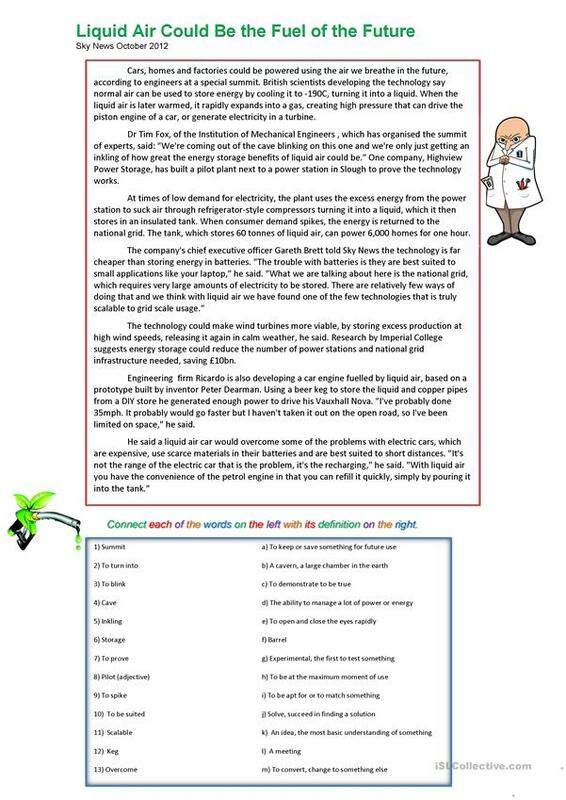 The present downloadable printable is intended for business/professional students and adults at Upper-intermediate (B2) level. It is a useful material for consolidating Modals in English, and is a valuable material for developing your learners' Speaking skills. It centers around the vocabulary topic of Environment. It includes the answers, too. Spinney is from/lives in Spain and has been a member of iSLCollective since 2012-01-15 12:22:41. Spinney last logged in on 2019-04-18 18:53:18, and has shared 141 resources on iSLCollective so far.